Sunroof, Heated Seats, Navigation, Dual Zone A/C. 530i xDrive trim, Bluestone Metallic exterior and Black Dakota Leather interior. SEE MORE! Navigation, Sunroof, All Wheel Drive, Back-Up Camera, Turbocharged, iPod/MP3 Input, Onboard Communications System, Dual Zone A/C, Blind Spot Monitor, Smart Device Integration. 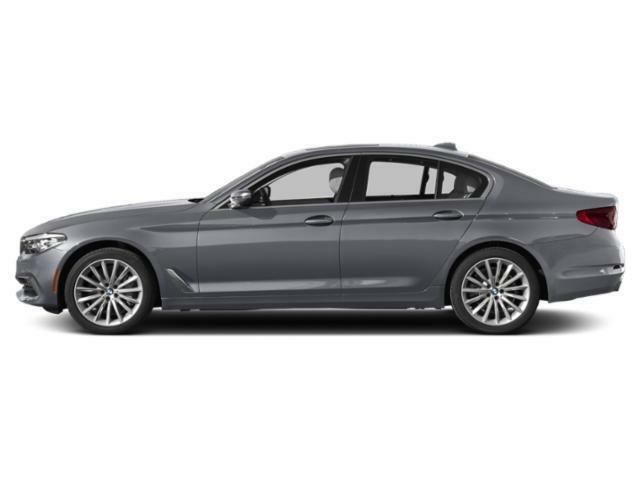 BMW 530i xDrive with Bluestone Metallic exterior and Black Dakota Leather interior features a 4 Cylinder Engine with 248 HP at 5200 RPM*. M SPORT PACKAGE Shadowline Exterior Trim, Power Tailgate, LED Fog Lights, SiriusXM Satellite Radio, 1 year All Access subscription, M Sport Pkg, Wheels: 19 x 8 M Double-Spoke (Style 664M), Tires: 245/40R19 AS Run-Flat, Comfort Access Keyless Entry, Heated Front Seats, Without Lines Designation Outside, Aerodynamic Kit, M Sport Suspension, M Steering Wheel, Aluminum Rhombicle Interior Trim, DRIVING ASSISTANCE PLUS PACKAGE Active Driving Assistant Plus, active cruise control w/stop and go, active lane keeping assistant w/side collision avoidance, traffic jam assistant, evasion aid and cross-traffic alert front in addition to the contents of active driving assistant, PREMIUM PACKAGE 2 Head-Up Display, Wireless Charging, Enhanced USB & Bluetooth (ZEB), WiFi Hotspot, Gesture Control, harman/kardon SURROUND SOUND SYSTEM, HEATED STEERING WHEEL. Child Safety Locks, Steering Wheel Controls, Heated Mirrors, Electronic Stability Control, Bucket Seats.